I see a new header?? Looks nice. Oh and html can be SO confusing!! 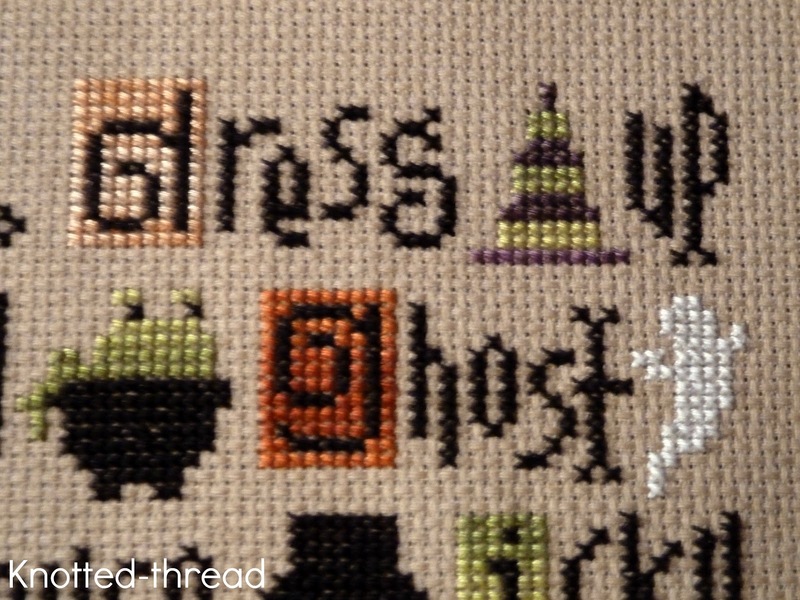 And are you going into the memory quilt business?? 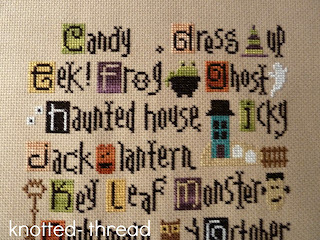 Wow...Good luck finishing up your stitchery - bet that feels good! The new header looks nice! I made a t-shirt quilt once for my brother-in-law (as a gift from his Mom), and I added tricot interfacing from JoAnn to each shirt square. Then I could just stitch them up to make a regular quilt top before basting and quilting. It was a pain getting it all cut out, but it ended up working great. There is a t-shirt quilt in my future. I'm going to make one with my son's summer camp shirts at some point. He's only 9, but we probably already have enough for 1 quilt! 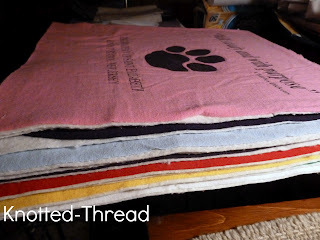 I appreciate Kelli's tip about using interfacing - I don't think I would have thought of that on my own! 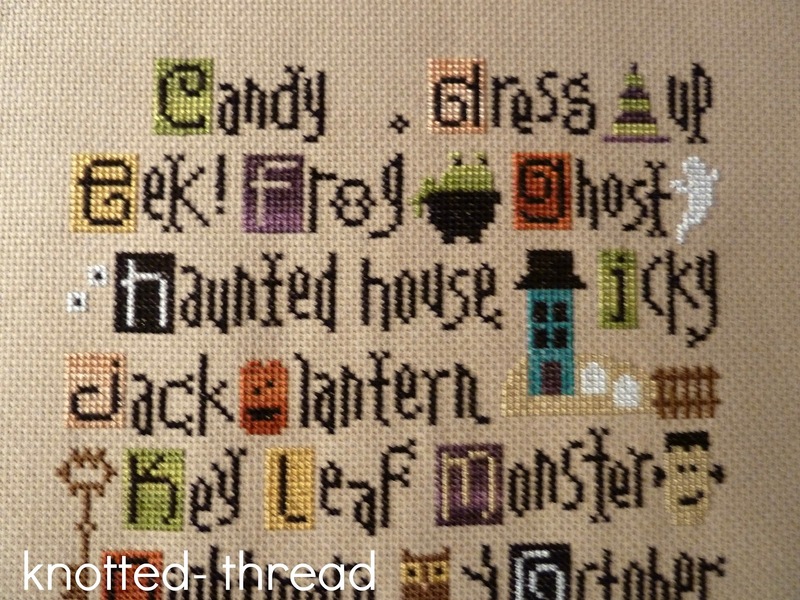 I also love that Halloween Sampler! Where did you get it? 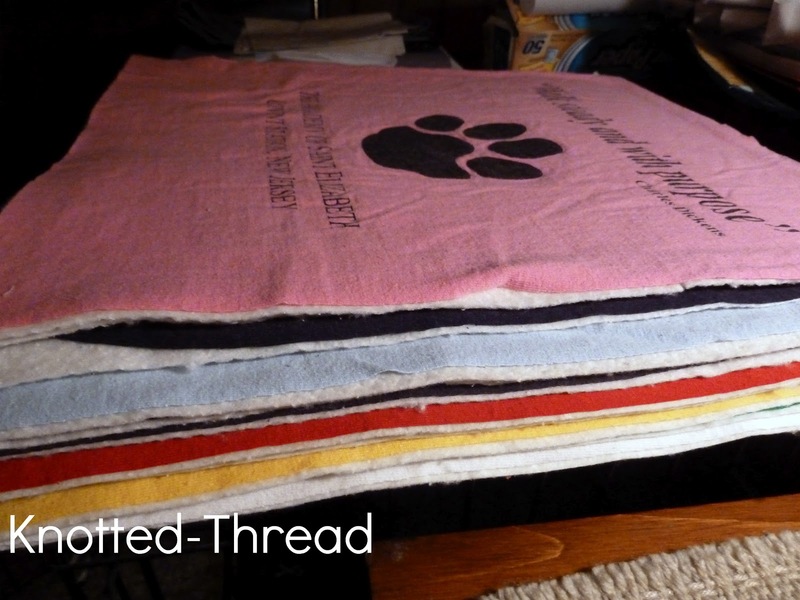 I've made probably 10 t-shirt quilts over the years and I always use a lightweight to medium weight iron-on interfacing. They look at me really funny in Hobby Lobby when I buy 25 yards at a time! 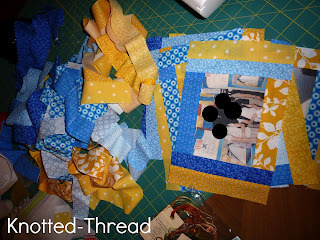 But it works great and the only problem I've had quilting is when going over puffy printing I've had skipped stitches. I iron on the interfacing and then cut the shirt to the size I want it to be. School ends so late for you guys! I just taught my friend to make a tshirt quilt and after sewing the first two tshirts on and having her almost cry at how inaccurate her sewing was, we decided to fuse lightweight Pellon to the back of each shirt so it wouldn't stretch while she sewed. This was only her 2nd sewing project, so I don't know whether experienced quilters would have difficulty with the shirts, but it definitely made everything way easier and didn't affect the overall snuggliness of the finished quilt.